At CMS we manufacture a variety of new and replacement bundle configurations. 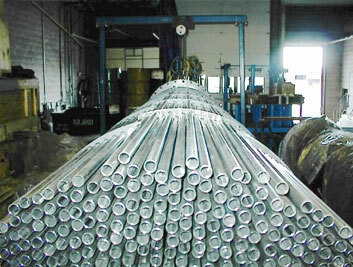 A 20" all 304 stainless steel "U" bundle. 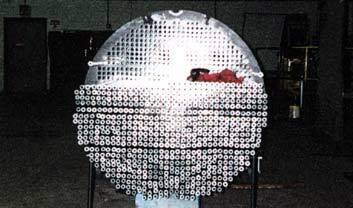 Crossover tube installation was utilized to increase service. 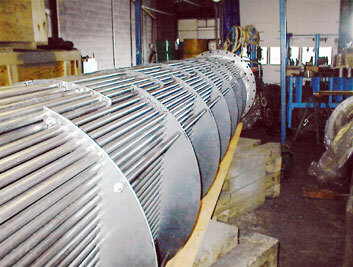 A 48" carbon steel bundle during tube loading operation. 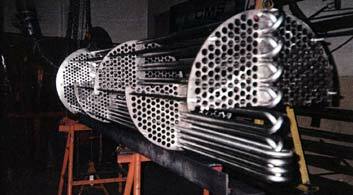 An 8" "U" bundle with 316 stainless steel tubesheets and tubes that have been Teflon coated during seal welding operation. Baffles, tie rods and spacers are all Teflon.